Having been mistakenly perceived as a follower of Salvador Dalí, Catalan surrealist painter and writer Àngel Planells (1901-1989) has passed through the history of art practically unnoticed. Yet his work suggests an influence on a number of works by Dalí, proving that a fairer way to define their relationship is as an artistic dialogue. 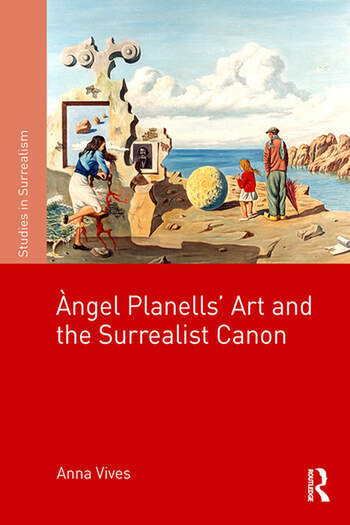 His participation in the groundbreaking International Surrealist Exhibition in London in 1936 is in itself a marker of his quality as an artist, but Planells’ contribution to surrealism is remarkable for his use of astronomy, fantastic scenes redolent of Edgar Allan Poe’s narrative as well as ludic elements and meta-pictorial techniques that contest Fascism. Anna Vives is Honorary Research Fellow in Hispanic Studies at the University of Sheffield, UK.